Suppliers to the Foreign and Commonwealth Office (FCO) will be required to comply to a revised Supplier Code of Conduct which will form part of the standard conditions for FCO contracts valued in excess of £10,000. 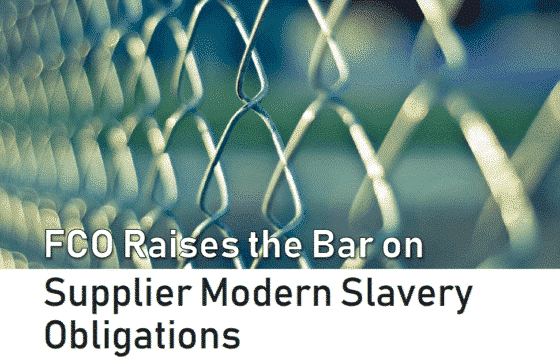 The new Code contains detailed and prescriptive instructions around the Department’s expectations around the corporate responsibility to manage human rights and modern slavery risks. This is distinct from the UK Government’s Supplier Code of Conduct, released last year, where the requirements around modern slavery are less specific. Our article in In-Procurement magazine looks at how the FCO may be raising the bar.